I created this social share plugin with simple coding, and this works fine on all devices. I use this plugin from the last 2 years. This was my custom social share plugin and I used it only on own sites. But now I decided to publish it with you all. This plugin is 100% free and everyone can use it. This is No.1 fastest social media sharing plugin that does not affect your WordPress site speed, there is more. Add share buttons after the end of post/page. Add the floating share button on the left side of page/post. Pick your favorite social media share icons. Activate only required icons, leave disable others. Add a no-follow tag or ignore this attribute (SEO). Hide social icons on mobile or set viewport size. Add the WhatsApp share button that working on all device. We worked on speed and added top popular share buttons, if you need any other social share button, feel free to contact us. 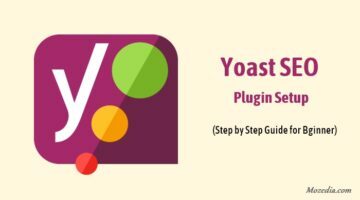 This plugin configuration setup is very easy and you can simply download and install it via the WordPress dashboard. Here is step by step guide, follow it. Go to your WordPress site dashboard. Now click on Plugins >> Add New in the left navigation. Now search “Social Media Share Buttons” and find our plugin. Click on Install Now and Activate it. You can also download this plugin by clicking on the below button. This plugin is also available on Github. After activation plugin, go to Settings >> Social Sharing in your in wp dashboard navigation and follow the below steps. Here is you can enable social media share button at the end of post/page and set up Twitter Username or Nofollow tags. Activate: Enable inline share icons. Choose Icons: Here is you can choose your needed social sharing icons. Add Nofollow tag: Add a no-follow tag on all social share links. At last, click on the Save changes button to save settings. Here is you can enable floating share button in the left side of page/post content. You can also set top-padding our mobile hiding limit here. Activate: Enable floating share icons. Choose Icons: Here is you can choose to float social sharing icons. Top padding: Set-top padding according to your site layout. Hide on Mobile: Set float buttons hide limit on mobile. All Done! that is simple, now you can see your site any page for demo and check social media share buttons working or not. After that, please submit a good review with the maximum star rating, is inspire me to create more plugins for you. If you faced any problem to activate and set up this plugin, feel free to ask us in the comment section. Also, try our Lazy load for Images plugin. If you find this plugin is helpful, then please share it on your social media profiles with your friends.